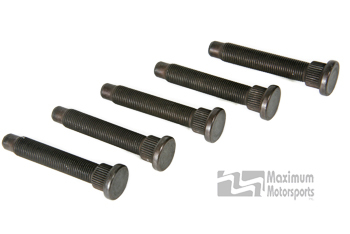 ARP and Moroso manufactured long wheel studs for 1979-04 Mustangs. 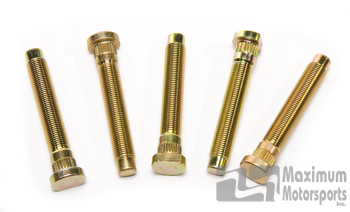 Longer studs are necessary when using wheel spacers 3/8" thick, or thicker, to allow sufficient thread engagement of the lug nuts. 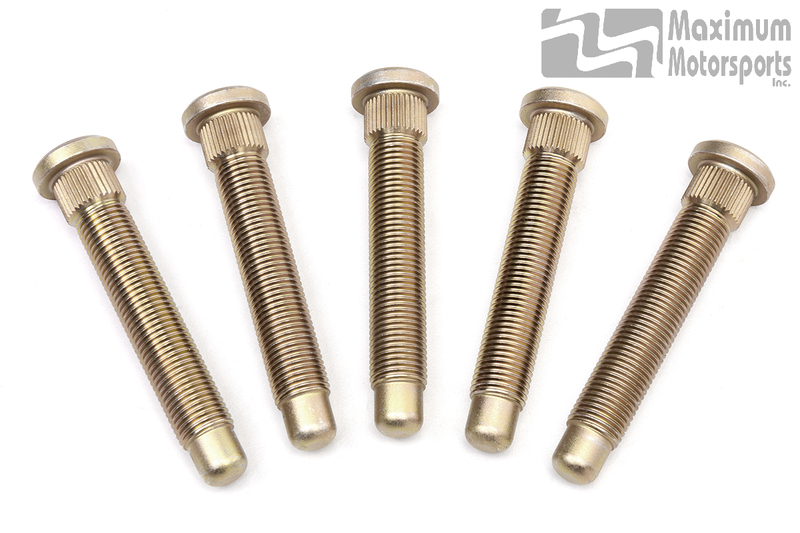 These studs feature a quick start tip: The 1/2" unthreaded nose helps prevent cross-threading. 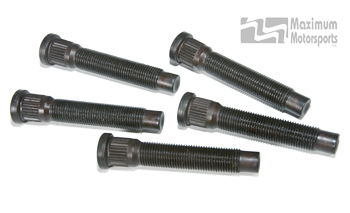 Wheel studs manufactured by ARP for 2015+ Mustang. Fits front and rear. Direct press fit: no drilling necessary. 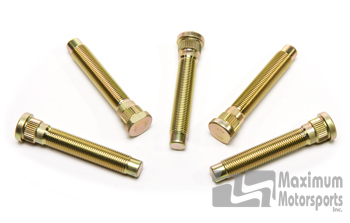 2.935" length, 0.50" longer than stock. 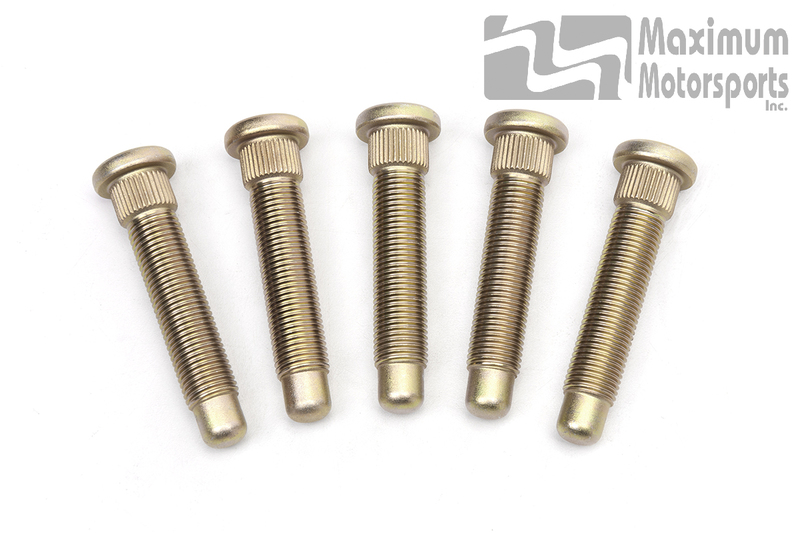 Wheel studs manufactured by ARP for 2015+ Mustang. Fits front and rear. Direct press fit: no drilling necessary. 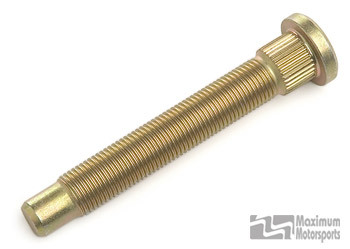 3.435" length, 1.00" longer than stock.